This guitar has had indoor practice use only and sounds great plugged or unplugged, giving a deep melodic mellow sound. 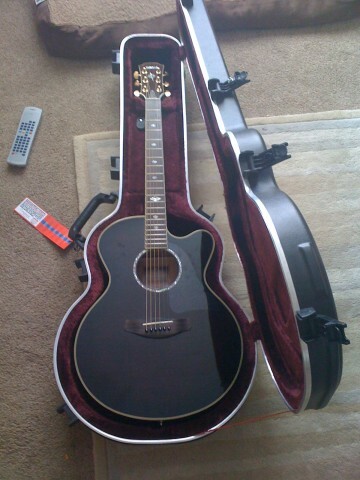 It is in great condition and comes with a high end velvet lined Tanglewood Deluxe hard case with internal storage area and keys. 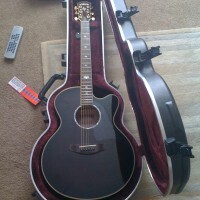 The guitar itself also looks great in black with pearl inlays. The official spec is below and no need to bring an amp if your interested as i have one.